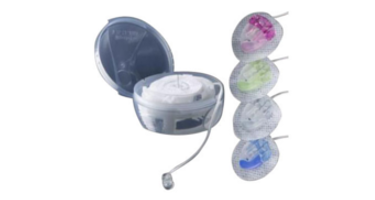 All-in-one angled infusion system with built-in, disposable insertion device. The introducer needle is removed so only the flexible cannula stays in place. Features a quick release, self-adhesive, reversible connector and a quick disconnect at site. Pre-fixed insertion angle ensures a 30-degree angle with each insertion. One-handed insertion for more site options. Works with any insulin pump using a Luer lock connection.